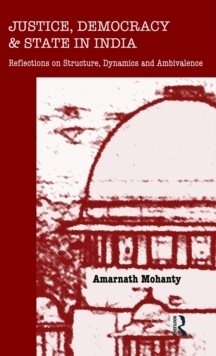 This book explores how the liberal conception of justice with all its ideological underpinnings is reflected in the framing and working of the Constitution of India, in the adoption of broader socio-economic objectives, in the functioning of judicial and state institutions, and in the formulation and implementation of development strategy. It analyses the dynamics of the relationship between justice, democracy and the state. The book studies the liberal conception of social justice and its sufficiency, and interrogates its performance and adequacy within the structural parameters and cultural conditions of postcolonial India. It provides an analytical exposition of how the borrowed and inadequate conception of liberal justice and democracy inherited from colonial past, and the espousal of the derivative developmental pattern based on modernist and constructivist paradigm, have together failed to achieve the modest target of justice enshrined in the Constitution. 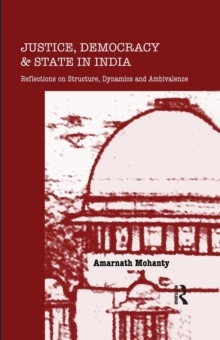 Interlinking justice, democracy and state, the book examines their operational dynamics in an integrated framework which has relevance for other Third World countries also because of socio-economic and cultural commonalites.